Dating In Sydney: The Simple Things. Whether it’s summer or winter or you’re planning to splurge or not, there are plenty of ways to enjoy the dating scene that Sydney has to offer! This harbour city has everything for everyone. Here are a few ideas for your next romantic rendezvous! If you’re in the mood to be in touch with nature in Sydney.. Try having a picnic at the Botanic Gardens. What could be romantic than being at peace and surrounded by nature, overlooking Sydney harbour? Spice the date up by cooking or preparing home-made picnic spread and bring along a bottle of wine, even better by sunset. If you’re in the mood for some water fun..
Sydney is a harbour and water is plenty everywhere. Kayaking is a great option for those looking for a more adventurous date than the usual dinner. The breathtaking combination of sun, sea, and scenery is more than enough to wow your date. Take your date to the Art Gallery for an all-new experience. Whether you are both art enthusiasts or would like to engulf the culture of art, you and your date will surely see something new. You’ll learn a lot from each other’s point of view by talking about your interpretations of what you both see. You can go big by bringing your date for a Sydney Harbour Bridge Climb or get the exact same view for a near Pylon Lookout. Going by night is your best bet to capture the romantic essence the city has to offer. Go ahead and burn up the floor and get a pretty good excuse to get physically close to each other by going to a salsa club or enrolling in a dancing class together. Who knows, you might get to steal your first kiss. If you’re aiming for something unique..
One of the romantic things in life almost always involves stargazing. Bring your date to the Sydney Observatory for a truly unique experience. It’s something you’ll both remember for a long time. Sydney has a buzzing live music scene and there are many great artists and bands to catch each week. Just make sure it’s the kind of music you’ll both enjoy. Seeing a great play isn’t as expensive as you might think. Griffin Theatre Company offers best rush ticket sales on Mondays for the best performances. Cap off the night with a fancy dinner… and maybe more. 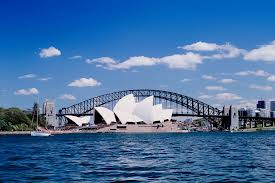 As you can see there is so much to do when dating in Sydney, so indulge!